BCBA Certified, our team of Fighting for Fitness Personal Trainers are here to help YOU reach your fitness goals. Young or Old, Male or Female, Competitive or Boxing Enthusiast; a Fighting for Fitness Personal Trainer will whip you into the shape you’ve always desired! Along with their guidance and instruction you will learn the fundamentals needed to train like a pro and look like a winner! 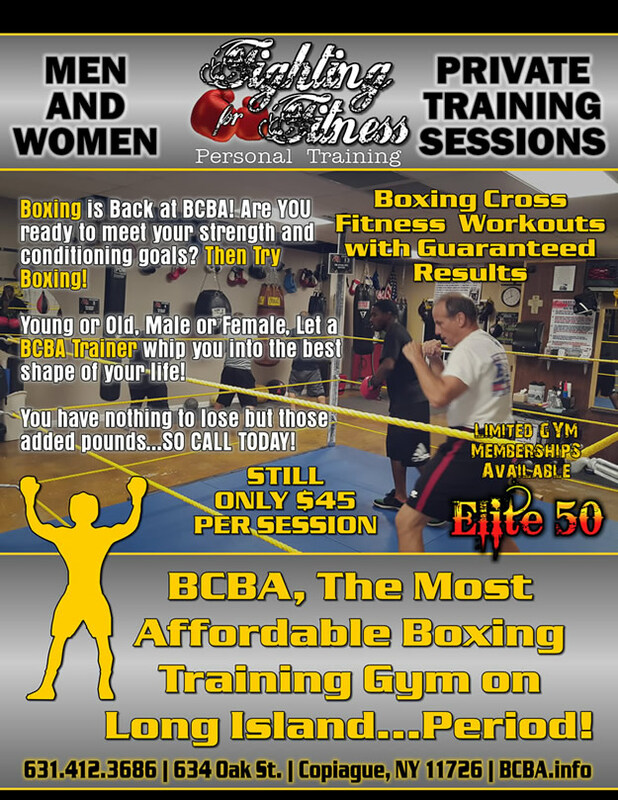 At only $45 per session ($35 for gym members), BCBA provides the most competitive PT rates around, so no more excuses! Try a month of Fighting for Fitness Personal Training Sessions with one of our passionate trainers!